Since 1992, a very wide array of people have sought out Capilano for training. We’ve trained over 25,000 students and earned a 99.1% satisfaction rating. We help up-and-coming drivers looking to break into the trucking industry. Often these students are looking for Air Brakes, Class 1, Log Books, and Cargo Securement. Transportation laws are always changing. Experienced drivers come to Capilano to earn (or renew) endorsements, and/or take some kind of remedial training after an incident. Driving audits are on the rise, and regulations are tightening. Thankfully a few simple courses can help you avoid thousands in fines and hours of frustration. Veterans are usually looking for: log books, LCV (longer combination vehicle) training, defensive driving, ODA (Oilfield Driver Awareness), vehicle inspection, and cargo securement. 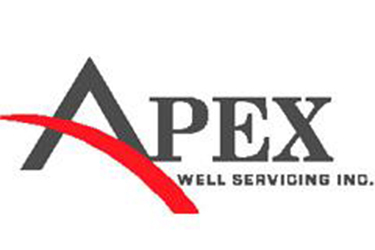 We’ve been the trainer of choice to mega-corporations such as EPCOR, Altalink, and Transalta. We’re equipped to handle their technicians by the dozen. To avoid workplace incidents and maintain solid safety records, these huge operators come to Capilano for safety and compliance training such as: Logbooks, Air Brakes, Driver Evaluation, and Cargo Securement. It’s possible that non-driving staff from small carriers are required to understand regulations. For example, the dispatcher of a small carrier needs to understand log books / hours of service so (s)he avoids dispatching a driver illegally. Small carriers also come to Capilano to prepare themselves for upcoming government audits and inspections. The carrier gains confidence for the seemingly scary process of getting audited. Small carriers also seek out Capilano for guidance on how to teach driving staff to effectively deal with law enforcement officials. Depending on how your driver behaves, you could face a much bigger fine, and far more carrier points than necessary! A standard, Class 5 driver’s license isn’t enough to drive a school bus. For that you need your “S” endorsement. At Capilano Truck Training we’ve got the equipment and training to help anyone interested in getting their “S” (bus) certification. If you’ve purchased a large motorhome, there’s a good chance you’ll need to get Air Brakes certification, maybe even a cargo securement course depending on what you’re towing. Another category of “surprise” trucking is when a Class 5 driver buys a big pickup truck and decides to haul a big load of gravel, or a Field Service Mechanic. They’re stunned when they get pulled over by the cops. Surprise, your Gross Vehicle Weight has pushed you up to “trucker” status and you are now facing a whole new world of laws and regulations. And you should have stopped at the scales. These tense moments don’t have to happen. Take a few hours and a few bucks to get trained at Capilano and you’ll enjoy smooth sailing throughout Alberta. 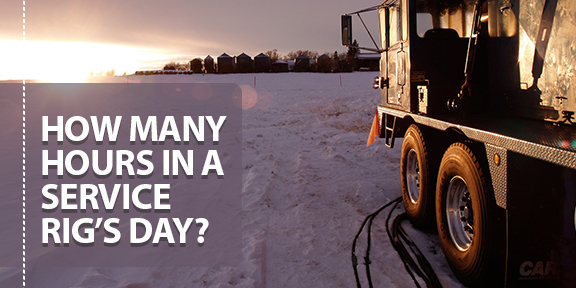 How Many Hours in a Service Rig’s Day?